I have been in Mumbai for more than three months now, and when I left my brother at the international airport I started feeling homesick. His presence here had thrown me back into a world where it is normal to have all my family and friends around me, and deeper than that – the comforting world of childhood – and I felt his absence very strongly once he left. I was trying to plan for my next trip away, yet most of the thoughts occupying my mind were thoughts of home. I opened the door of my flat to find I had received a postcard from my friend Bex, from Bergen, Norway. That it had come from near the Arctic circle to me on the Indian subcontinent made me smile. I read about her adventures, and I liked looking at my Mumbai address written on the right hand side, whose appearance there is still unfamiliar to me. I went out to run some errands and buy some fruit in preparation for my friend Parag’s visit this weekend. Even by the time I was leaving the bank, I was feeling much better. The sunshine and the breeze were sinking into my flesh. Touched by the brilliantly warm sunshine and the pleasant breeze, my body remembered that I love India. I began wandering towards the fruit stalls by the station. 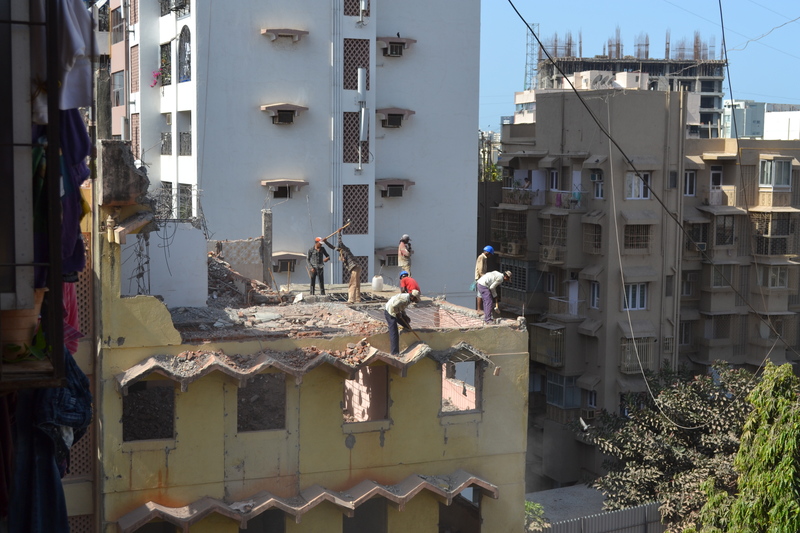 The smells of fruits, flowers, dung and decay, the dust that stirs around in the air, particularly right outside my building, as the adjacent building is being knocked down, the very high pavements that make one feel as if climbing onto the pavement is some kind of mountaineering exercise. The red stains of paan everywhere, and garlands of flowers. The drone of the coughing rickshaw engines and the black smoke of the old engine of a bus as it manouevers past me, choking out a hot, rolling black smog over me. The rich multiple layers of things I can smell… there may be something quite odd about me, but even the stench off the lake makes me feel happy. The gaping holes in the pavement, partially covered over with slabs of concrete, which are, in themselves, broken. The mayhem of the junctions, and the kamikaze crossing of roads that I participate in. I seem to have developed a kind of impatient complacency about the traffic, like the other pedestrians. I shall walk, and nothing will hit me – nothing would dare. You can cross single lanes of traffic within a multiple lane road, simply pausing in the middle as the vehicles pass, until there is another gap. The best way to do this is to form a line with the other men (it’s generally men) who are also crossing. Crossing en masse is protective. And above and behind everything – the sun. That streaming, powerful light and heat, which throbs through the city like the blood in its arteries. I reach my chosen fruit seller and buy a watermelon and nine mangoes. Each time I buy mangoes, the price has dropped. Last time it was forty rupees less, this time it is a whole hundred rupees less than I was anticipating. And the man asks me, ‘only six?’ Clearly, people tend to buy them in greater bulk than I do. So I buy three more, for the same price I was expecting for six, the price I paid two weeks ago, which was itself less than the week before that. 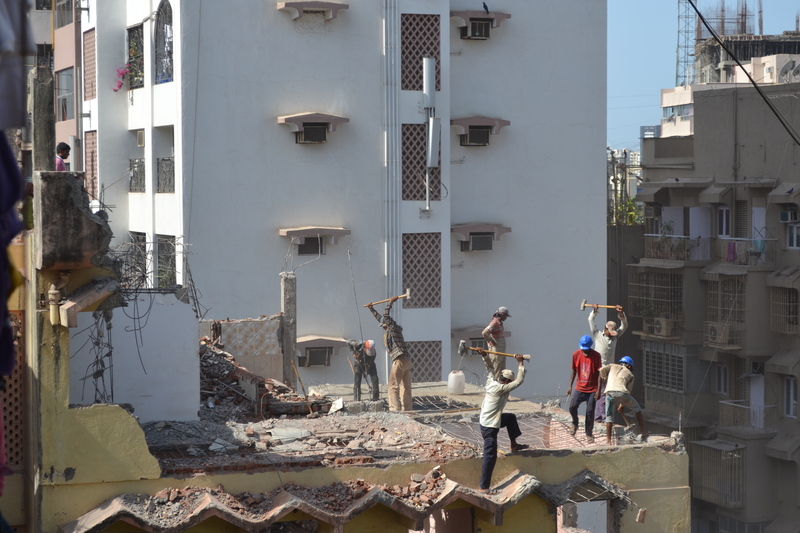 It strikes me how different Bandra – and Mumbai in general – are from Jaipur and the touristy parts of other cities I have been visiting recently. Bandra, where I can get a rickshaw on the meter, and pay 20 rupees instead of someone trying to charge me hundreds more. Even in South Mumbai I can take a taxi from Colaba to Fort on the meter in daytime, without any trouble. It is very pleasant to walk along a street without any harassment, without anyone even glancing at me. I am carrying a bag of ripe Alfonso mangoes and I am happy. 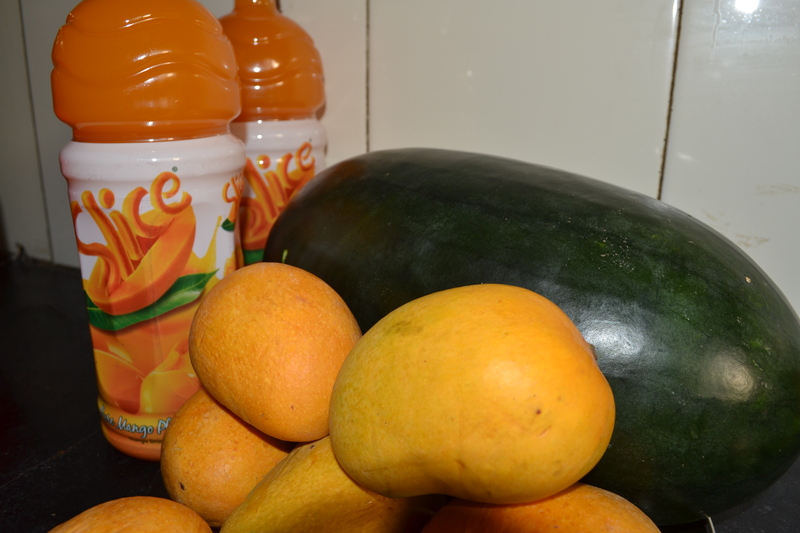 These are the best mangoes: juicy, ripe, sweet and succulent – bursting with the warmth and colour of sunshine. I am dripping with sweat; the sun shines on, still potent and intense at 5:20 in the afternoon. how well you write. i can visualise every word. thanks so much 🙂 you made my day!